Johnstown Tomahawks Fan Blog- TheTomablog: Springfield Jr Blues vs. Johnstown Tomahawks (Weekend Preview) UPDATED! 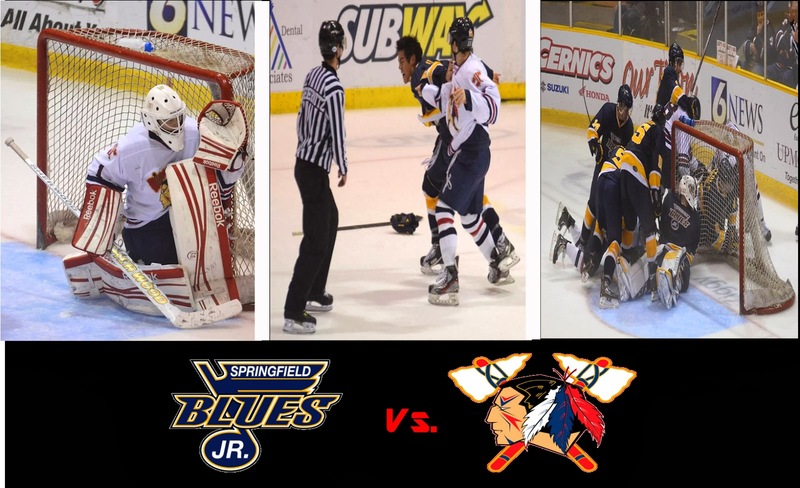 Springfield Jr Blues vs. Johnstown Tomahawks (Weekend Preview) UPDATED! It's that time again, but before we breakdown all the stats, news, and all the other good stuff, we wanted to make a quick announcement. This weekend we won't have game wrap-ups like we always do. Why? We have the honor again this weekend to cover the team for the Tribune Democrat. We'll provide those thinks if you don't live in the Johnstown area or if you're not a Tribune subscriber. On Sunday we might post our thoughts about the two games on here. If we do, we'll let you guys know. It should be a good weekend as the Tomahawks' are holding two promotions and taking a look at Ticketmaster.com, ticket sales for Friday's game look pretty good. First, on Friday night (11/8/2013) is the second annual Faith and Family Night. Following the game, listen to a special guest talk about his walk in faith. Last year the speaker was, if we're not mistaken, Jesse Kessler. Puck drop is set for 7:30pm. Then on Saturday night (11/8/2013) is Military Appreciation Night and U.S. Flag Giveaway. Support our armed forces and say “thank you” as we honor members of our military on this night. 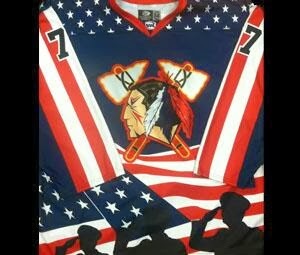 The Tomahawks will wear specialty jerseys that will be auctioned off during the game with the proceeds going to local charities. Puck drop is set for 7pm. The Tomahawks and Jr. Blues have played each other twice this season, with both games taking place in Johnstown. Once again the teams faceoff in the War Memorial Arena. Johnstown won both previous meetings. This will be the last time Springfield makes the trip to Johnstown. Johnstown will play four more games against Springfield, all in the Jr. Blues' barn. Cameron Smith signed. Smith made it to Johnstown main camp this season before he was cut. The Johnstown Tomahawks announced today that forward Joe Drabin has been called up by the Youngstown Phantoms of the United States Hockey League. In 18 games for the Tomahawks this season, Drabin has scored 11 points (4-7-11) , second on the team behind Brandon Reinholz. His six point performance at the NAHL Showcase in September earned him the NAHL North Division Star of the Week award for the week of September 23. “That’s great news. Obviously, his play has given him a shot to play at the next level. 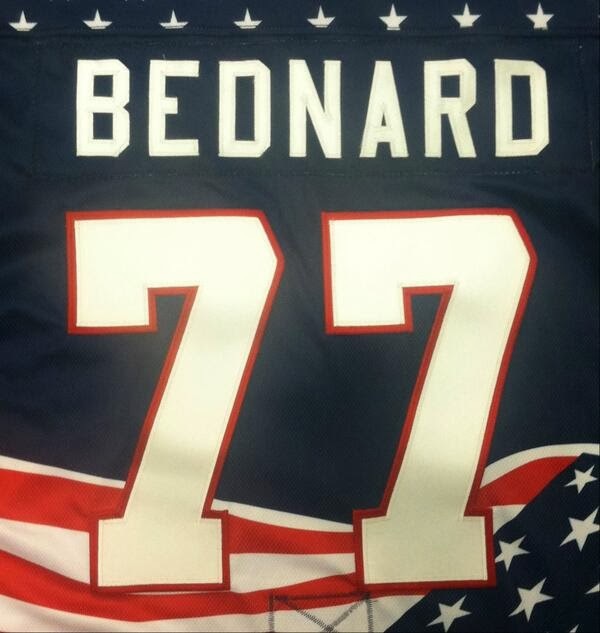 He deserves it for sure,” said Tomahawks assistant coach Mike Letizia. Drabin joins goaltender Colin DeAugustine as Tomahawks players who have been called up to Youngstown this season. The Johnstown Tomahawks announced today that defenseman Jesse Kessler has been traded to the Minnesota Wilderness in exchange for future assets. Kessler, in his final year of junior eligibility, has played 16 games with the Tomahawks this season, with two assists. He has been a key member of the Tomahawks’ defensive corps since the start of the 2012-13 season, playing 77 total career games with Johnstown. “We are thankful for the time Jesse has spent here,” Tomahawks General Manager and Director of Hockey Operations Rick Boyd said. “We know the fans appreciated the efforts he put forth on the ice, as did everyone in the Tomahawks organization. Kessler said he will miss the city of Johnstown and playing for the Tomahawks. Kessler also extended his appreciation to the Tomahawks ownership, Boyd, head coach Jason Spence, and assistant coach Mike Letizia. He also thanked his billet family, Mic and Cathy Lohr. In Minnesota, Kessler will be reunited with the coaching staff he played for with the Alaska Avalanche during his rookie NAHL season in 2011-12. He will also be re-united with former Tomahawks teammate Jaycob McCombs. Johnstown is 5-5-1 at home. Springfield is 4-3-1 on the road. When Johnstown scores first they are 5-1-1. When Johnstown leads after two periods they are 6-0. Springfield is 7-0. We have a feeling this is going to be the reaction of the fans Saturday watching the game. Why? Because the ref is scheduled to be Jonathon Paradise. The Tomahawks put out a weekly video on their Youtube channel. If you haven't seen one yet, you're missing out. Below is the newest video wrapping up last weekend. It has a funny segment with the Hall Brothers.